e-Agri East Africa Summit: eProd Solutions took part in the February/ March 2017 e-Agri Summit held in Nairobi where various companies in agribusiness were showcased. Key messages from the summit focused on fully unlocking Africa’s potential in agriculture and the need to create avenues of collaboration with different players including ICT to promote this agenda and eProd acting as a key player in this. AGRA/ SSPT portfolio meeting: A number of agribusinesses were in attendance during the March AGRA meeting in Arusha. They got an opportunity to interact with the eProd team and learn about the technology. Those in attendance included potato processors, seed breeders and it was apparent that eProd was what they need to improve efficiency in their supplier management. 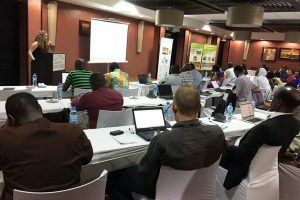 Just recently, eProd participated in an AECF event held in Dar es Salaam, where we met with many agribusinesses in the East African region in need of an ICT solution for managing their farmer operations. Together with Global Communities and AAA, we are reaching many agribusinesses day by day with our technology. In the near future, your field staff and farmers will be able to receive individualized weather-forecasts and production tips from their mobile phones. 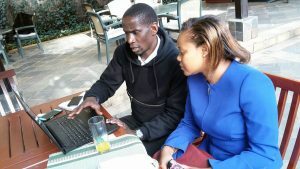 This new development that will assist vital decision making processes has been made possible through a strategic collaboration between eProd Solutions Limited and aWhere (www.awhere.com), a global agricultural intelligence company that collects weather data from satellites and local ground based weather stations. You will now be able to send out daily short term forecasts. Weather Data is fundamental to agricultural intelligence because the effect of weather drives on crop physiology, pest pathology, and daily operational/economical decisions. aWhere’s unique weather data is specifically designed for agricultural use, and includes up to 10 years of daily observations across the entire agricultural earth, along with current weather and weather forecasts updated four times per day. While weather information may not at first seem like an important service given the free and widespread forecasts available from the newspaper to the internet to farmers, however, highly accurate and localized weather reports – based on a 9 by 9 km grid – will assist important decisions regarding what crops to plant, when to spray, to plant or harvest – or when NOT to spray, plant or harvest! The information is also valuable to farm input suppliers searching for better ways to sell their goods. Instead of spending time selling and marketing to farmers who may have missed good weather, agricultural service providers can use the weather data to predict which farms are most in need of their products. Buyers can also track which crops are coming to harvest and when to assist logistics decisions. In this April’s issue, learn about the latest eProd’s developments, and how this will make your sourcing from smallholders more efficient. From our daily interactions with agribusinesses like yours we understand the challenges you face managing farmers, and we are constantly responding to address your needs. What latest developments are addressing these challenges? New development: Most agribusinesses acknowledge that managing farmer field activities is challenging, especially capturing, recording, and analyzing field data. 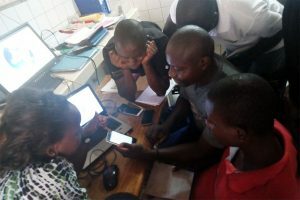 With this in mind, eProd’s development team has come up with an easy tool for field officers to capture field activities and carry out field follow-up through the eProd mobile app. From planting to harvest, eProd now makes it easy to collect data in the field and manage each stage of production. 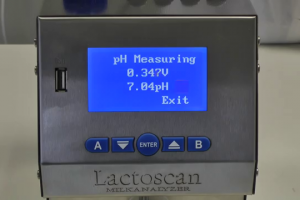 What’s more, this new field component will assist agribusinesses in decision making and projecting future production. New development: Nearly all grain traders work through agents. 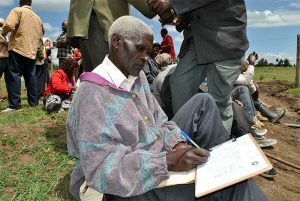 With the large volumes traded during the peak seasons, managing procurement from the farmers calls for a helping hand. eProd is currently piloting a “Stock” and “Aggregator” module, specifically used to help agribusiness during these hectic times. This new feature will enable agents to capture the deliveries in the field and relay the same information to the office. With a click of a button, an agribusiness manager will be able to check the volumes aggregated in real time. 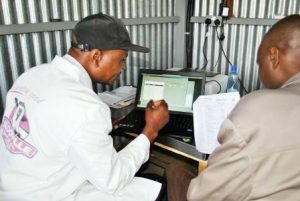 This module also goes a step further to help the agents record input advances to farmers, and the agribusiness manager monitors the stock both in the office and in the field. Moreover, we are working closely with strategic partners in the coffee sector in Uganda, Tanzania and Kenya. Through collaboration with Solidaridad and Catholic Relief Services, and other commercial partners, we aim to reach hundreds of coffee cooperatives, with the joint objective of building farmer management capacity and making their processes more efficient. eProd is in the process of rebranding itself. Expect a new and revamped look! Inspired by our growth and milestones we expect to reach, we are taking on a new look and we hope these new changes will have you as excited as we are. The new eProd identity is an abstract representation of who we serve and how we serve. The solid circles represent the different companies and farmers who use our system whereas the outlined circles represent the business aspect of farming. The movement of these circles represent how data flows and is managed in the agribusiness ecosystem. The logo has a simple yet modern look that represents how our management systems operate. Transu Ltd (K) and the UKAID supported Climate Smart Agriculture Intervention of the Finance Innovation for Climate Change Fund (FICCF) is piloting a crop insurance package for sorghum farmers in Western Kenya in order to reduce the financial risks of crop failure. e-prod through its data management support to Transu will provide the data required for each of the stages involved in a weather index and peril insurance. As you know, we never stop developing the software, and we are incorporate the latest changes with our clients in our upgrades free of charge. Some of the recent upgrades include, for example, a versatile reporting module which enables clients to retrieve a number of management reports. Please contact your eProd relationship manager for more information. 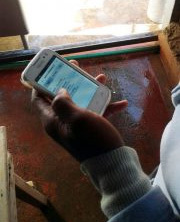 We recently introduced our mobile app to collect data in the field. The e-prod mobile application can be downloaded on any smartphone operating with an android OS and will send delivery information to the office in real time, making, for example, payment processing faster. Users are now able to download the app from https://app.eprod-solutions.com. The e-prod team is available for assistance in setting up. 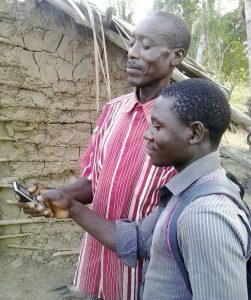 With the e-prod app, field officers are also able to capture the geographic locations of the farmer groups and map out collection points. Please contact us for more information! After the successful roll-out of the software in Kenya and Uganda, we are happy to announce that we have now launched e-prod in Tanzania. In the last quarter of this year, we have trained numerous companies – operating in different value chains such as rice, coffee, horticulture and maize – in Tanzania. The response has been very welcoming and we look forward to successful expansion. We plan to open an office early next year. Another new feature integrated into the e-prod software, is Short Message Service, or SMS. Clients can now communicate with their suppliers, whether it is about production related issues, upcoming events or any unforeseen collection route changes. Africa’s Talking www.africastalking.com and several other SMS providers are now integrated with e-prod to send out SMS at affordable rates. Our technical team will provide support in setting up a sender ID and train on the use of this module. We are in the process of a re-branding! Please be prepared to see us soon with a new face. Managing stocks: We are developing a module for the mobile app that will help agribusinesses to access information in the field about stocks, inputs advanced to suppliers, repayment tracking, etc.